Granite Construction Company was incorporated in 1922 and is a heavy civil contractor who builds infrastructure-related projects in the United States. The company also produces construction materials such as sand, gravel, asphalt concrete, ready mix, etc. The company headquarters is located in Watsonville, California, United States. The company has played important roles in the building up roads, mass transit, tunnels, bridges, airports, etc. The company has locations in Nevada, Utah, Washington, California, Arizona, Alaska, Texas, Florida, and New York. The company helps private industries, companies, home owners, public agencies, contractors and municipalities for their construction needs. 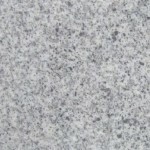 There are currently 0 consumer reviews about Granite Construction Company available. Share your review. Please take a note that you are about to post a public review about Granite Construction Company corporate office on CorporateOffice.com. This review will be public, so please do not post any of your personal information on this website. If you would like to contact the corporate offices of Granite Construction Company, please use their contact information such as their phone number, website, and address listed above to contact them. However, sometimes staff from Granite Construction Company headquarters do read the reviews on this website.